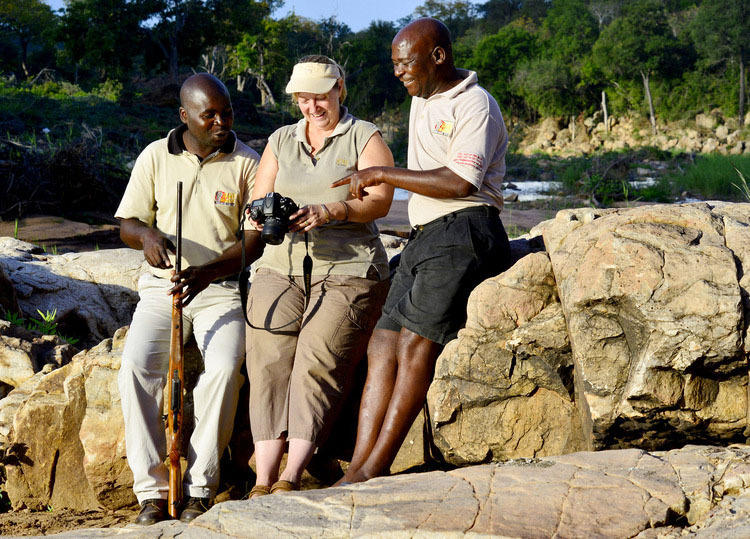 When packing for your African Safari you will be tempted to bring a lot of safari gear with. Please remember that you will be doing a lot of packing and unpacking when moving from one camp to another so try and bring as little luggage as possible. Also try and use a lightweight suitcase or soft bag. If you are staying in the expensive private lodges there will be a porter to carry your bags but if you are doing a self-drive safari you will be carrying your own bags. At some of the Kgalagadi Wilderness camps and the Kruger bush lodges like Boulders, the tourism assistant / camp manager does help carry your luggage, but this is not the norm! Our main tip here is that you should pack light! You can always wash a few clothes along the way. The African sun is very hot and our clothes dry within a few hours and most of the main camps have Laundromats or you could ask the cleaning staff at the camps to do your washing for a small fee – they are very willing to earn some extra income. Where can you purchase your safari gear? In South Africa there are a few stores that stock comfortable cotton shirts, shorts, pants, jackets and hats such as Cape Union Mart, Outdoor Warehouse and the Kruger shops in the larger camps like Skukuza, Lower Sabie, Satara, Berg en Dal and Mopani. The Powder Keg in Florida North, Johannesburg, carries a wide range of Courteney boots, jackets, T-shirts, hiking socks, shorts and photo vests. In Namibia you can try Safariland Holtz in Windhoek as the Etosha shops keep minimal stock of safari clothing. If you want to buy your safari clothing before arriving in Southern Africa then you should try Orvis or Cabela's. These companies sell the items as 'hunting clothing' so don't be offended when visiting them. We are against trophy hunting but these products are among the best for safari conditions.